The best cleaners for your Vinyl Floor Cleaning in Wahroonga- Franklean! The floors get dirty the fastest. The floors being high traffic areas, it is bound to get dirty, soiled, and filthy in no time. That is why floor cleaning and washing has to be carried out on a daily basis or as frequently as possible because you don’t want dirt and stains to build up and make it look unclean and uninviting. That being said, different types of flooring or floors require different cleaning processes. And the right approach is very important, else you can end up damaging the floors and this could turn out to be quite a problem as you may end up damaging the floor. 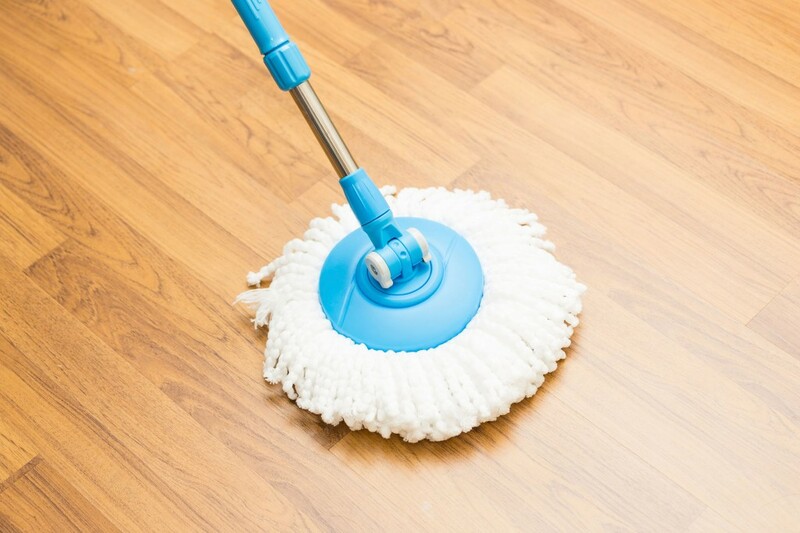 And if you have vinyl floors in your office or home, then you may want to know how experienced cleaners go about the vinyl floor cleaning in Wahroonga. And one such cleaning company who will clean and wash the floors in your Wahroonga areas on a regular basis or even in the event of an emergency, and whose price is cheap and comparable is Franklean Carpet & Tile Cleaning in Wahroonga. Do you want to know more about the vinyl floor strip and seal in Wahroonga? Well, here’s a small insight into the same. A nice floor sealer is coated on to the vinyl flooring in a bid to ensure that the floor sealing job is complete. What is vinyl floor stripping? Whatever be the material of the flooring, floor stripping essentially refers to removing and eliminating any old wax, dirt, residue, and soil on the floor. This is not an easy task and it can be quite time-consuming and also it requires an expert sealer or a cleaner who knows how to go about it and only a professional cleaning services company can take care of the floor sealing, stripping and more. Just suppose there has been a sudden emergency, water damage or the flooring has gotten damaged due to water or some other incident you will need to get it cleaned ASAP. Else, the flooring will get damaged beyond repair and you will have to replace the entire flooring. Now, for this, you need experienced cleaners who extend emergency cleaning and washing services and preferably from in and around the Wahroonga areas because that is where you live. What about the price for a vinyl floor cleaning, sealing and stripping in Wahroonga? When wanting to get a floor sealing, stripping, or sealer added. Or if you want the flooring cleaned and a nice round of wash done, then the experience is not the only parameter. It is also how cheap the service is and if the price and the charges are justified and reasonable. Yes. The price does make a difference. And if it is cheap and more so an experienced cleaner and washer are handling it, then nothing like it. And in this, Franklean Carpet & Tile Cleaning in Wahroonga meets the criteria. Now when it comes to vinyl material, the cleaning has to be undertaken in accordance. It has to be cleaned using very mild vinyl cleaning products and a slow process have to be followed so as to not damage the floor. Similarly, if you want a floor strip and seal to be carried out, that too should be handled in a proper manner so that it is a job done well. Whatever cleaning services we undertake or take on, be it for homes or offices, our cleaners know their way around it. They have a clear-cut path and approach and follow a set plan and outline. And for each type of service that we render, there is a defined process in place. The cleaner will vacuum and sweep the floor as deemed fit. All debris and residue is removed in a proper manner and if mopping is required, then that is also done. If there are stains, then the washer will use an effective cleaning product to help clean and wash the floor. Why choose us- Franklean Carpet & Tile Cleaning? We will keep it clean and clean and wash in a way that it leaves you completely satisfied. We use safe, eco-friendly products. For all the cleaning and washing, we have seasoned and trained cleaners. And whatever we undertake, then we will definitely help deliver. Don’t hold back or hesitate, get in touch with us today! In the event of an emergency, you want your flooring cleaned, a floor strip and seal job, want a cleaner and washer to clean and wash the floors in your home or office in the Wahroonga areas and most of all, you want the price to be cheap and reasonable, you can find it all in Franklean Carpet & Tile Cleaning in Wahroonga. You can reach us on 0411 181 990 or email us at frankleansyd@gmail.com.